Are you an Irish girl with a serious talent for drinking? Show it off at the pub crawls this St. Patrick's Day with a fun and trendy design. You're the best drinking partner a man can get! 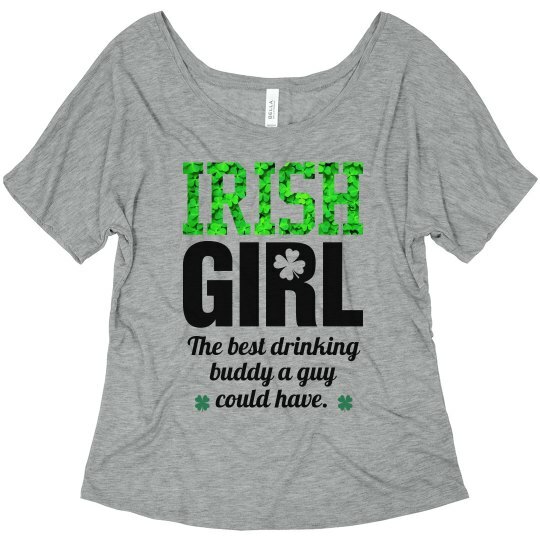 Custom Text: The best drinking | buddy a guy | could have.